We are spending the summer in Italy. As we will be here for 5 or 6 weeks we decided to drive. It means you can bring so much more stuff with you and the ‘getting there’ becomes a holiday in itself. But on the way I learnt various lessons and I thought you might find some of them helpful. 1. Make sure your child has a insatiable thirst for books and as he wont be able to read all the way download some suitable audio books. I’m not sure quite how you ensure this in your child and it may well be too late to start now if your child or children hate reading. We did nothing out of the ordinary with our son, just the usual bedtime reading from a young age and then supplying book after book as he became an independent reader. I can honestly say that he didn’t ask ‘Are we there yet?’ once in the whole 1200 miles. But he did say a rather annoying ‘Eh?’ whenever I tried to talk to him as he was wearing headphones. 2. 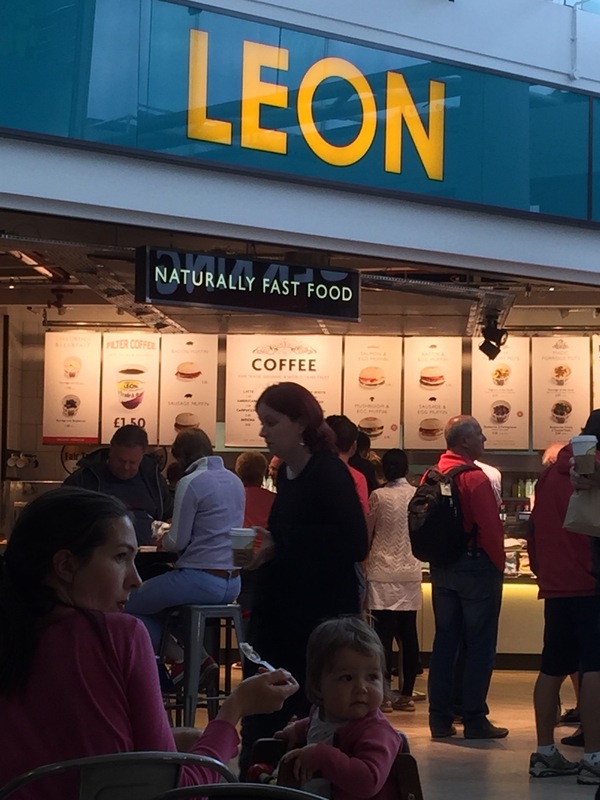 They now have a ‘Leon’ in the terminal at Folkestone so if eating healthily is your thing you can start your day with porridge and organic, free trade coffee. If it’s not your thing have no fear Burger King is right next door. 3. Do choose a day when the Eurotunnel is working, the French workers aren’t on strike and immigrants aren’t trying to enter the tunnels. Again not sure how we managed it, but we did. 4. You can’t see any fish out of the portholes on the Eurotunnel. I knew this already but I always hope. 5. No one on the Eurotunnel is going your way for very long. As you come off the train and head off south the road is full of GB plates but an hour later you are the only GB car looking at those rather mysterious spheres painted green and yellow on the side of the road. What is that all about? 6. While we are on the subject of things on the side of the roads in France, they have these brown tourist boards that show what a particular area is known for. I get chateaux, wine, glass blowing and even WWII cemeteries – but chemical plants? 7. 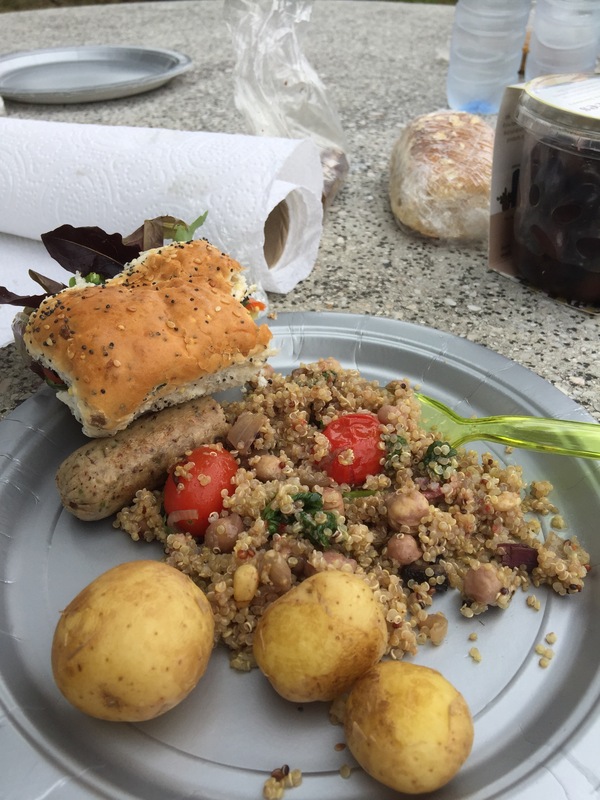 If you are a vegetarian family take a picnic. The French hold no truck with these new fangled ideas but they do have some quite nice picnic areas on the motorway. 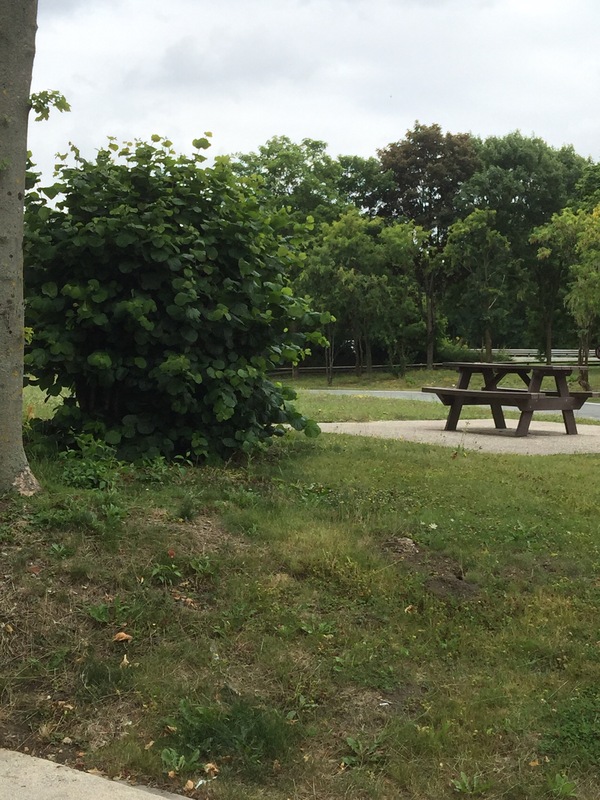 No services apart from a loo (which we will come to next) but decent picnic tables and a bit of grass. 8. Don’t believe your husband or son if they say the loos are fine. They are male and so for them the whole experience is totally different. The loo that was ‘fine’ was a stinking hole in the floor and I was wearing baggy harem trousers. Not a great combination. If your wife tells you the loos are fine, they are. 9. You are required by law to carry all sorts of accessories in your car in France. There is an urban myth that the police seek out GB plated cars to stop and check for these items and finding them lacking will issue on the spot fines. My husband buys into this myth so we drive through France with our hi-vis jacket on the back of the driver’s chair to show any passing police car that there’s no point stopping us as we are totally compliant. We don’t actually hold the breathalysers up to the window but you get the idea. You also need one of those triangle things you put out behind your car should you breakdown. I’m sure first aid kits etc are also compulsory. But you should probably check with the AA to make sure you don’t fall foul of these rules on the off chance that my husband might be right. 10. Do get one of those automatic toll paying devices for your trip through France. It stops you realising just how expensive it is driving on those nearly empty motorways and the added frisson of anxiety you feel every time you drive up to the barrier, in that oh so special lane, where you can only pass if you have the toll device, adds a a certain ‘je ne sais quoi’ – which is in itself quite French and when the credit card bill finally shows up some months later it will bring back such happy memories of your now long forgotten holiday. 11. In Switzerland you pay for their roads in a different way. They stick a ‘vignette’ on your windscreen which lasts until the end of the year and for which you pay 50 Swiss francs. Of course you won’t have any Swiss Francs having forgotten that they are not part of the EU. They happily take Euros but they give you the change in Swiss Francs. One day if I put all that change together I might have enough to pay for the vignette. 12. 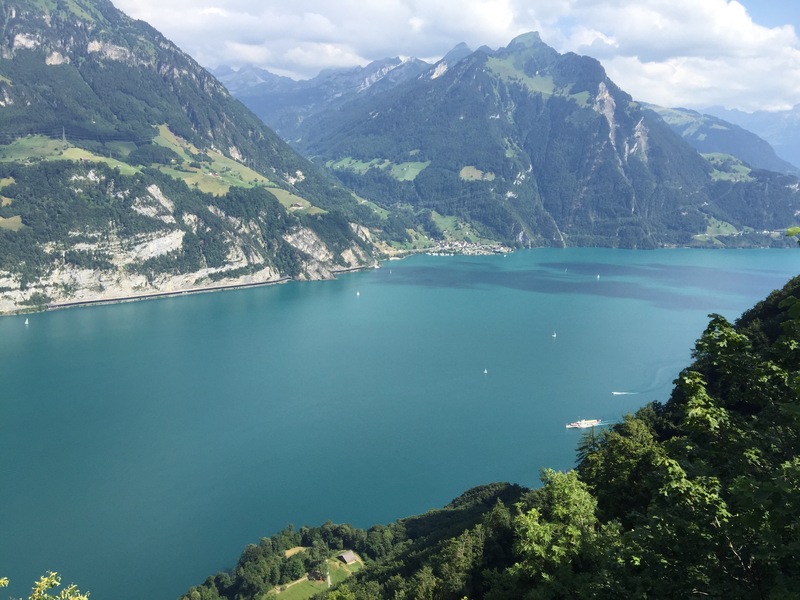 The Gotthard tunnel is a very long tunnel at 17 kms, but it does get you through those Alps. Expect to queue for a while to get through it and to feel just slightly on edge the whole way through as huge lorries hurtle in the other direction just inches from your car – or maybe thats just me. 13. Italy has terrible motorways and great motorway services. Vegetarians are well catered for. We saw our pasta and sauce being made in front of our eyes. Their coffee may not be free trade or organic but its cheap and tastes great, and it’s what we will be enjoying for the next five weeks.